We're actually making this card at the Wrapped in Warmth Holiday Stamp-a-Stack Class on Saturday, October 22 anytime from 10am-4pm. There are 2 Stamp-a-Stack Classes to choose from this day (on Saturday, October 22) (or do them both! ), then one more on Thursday, December 1. 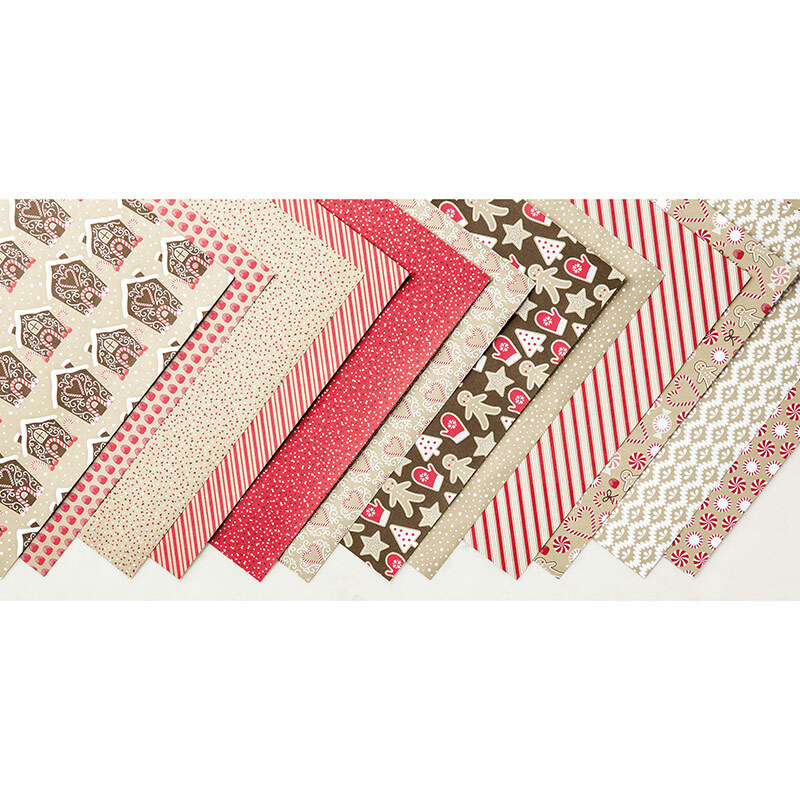 Check out all of the details on these great Holiday Stamp-a-Stack Classes here! And... receive a $15 gift certificate to use on Stampin' Up product when you sign up for all 3 Stamp-a-Stack Classes!! We start our card with an Early Espresso card base, then added a layer of Whisper White card stock, along with a strip of the Candy Cane Lane Designer Series Paper to the bottom of our card. The entire Candy Cane Lane suite of products is so much fun to play with! 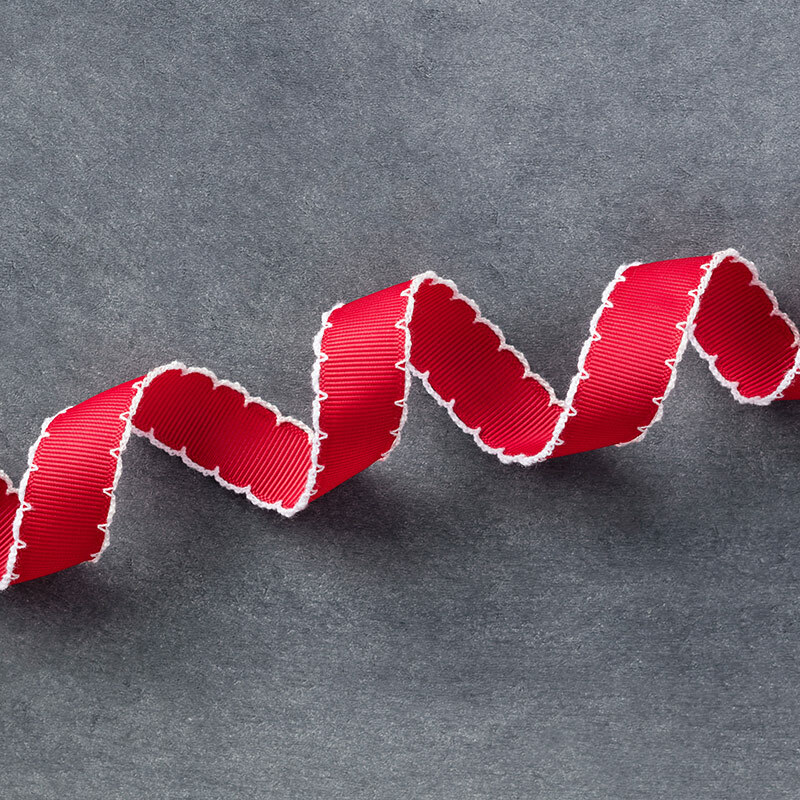 Before adding these pieces to the card, we layered a strip of Real Red 3/4" Stitched Edge Ribbon to them and then attached the layers to the card using Fast Fuse Adhesive. 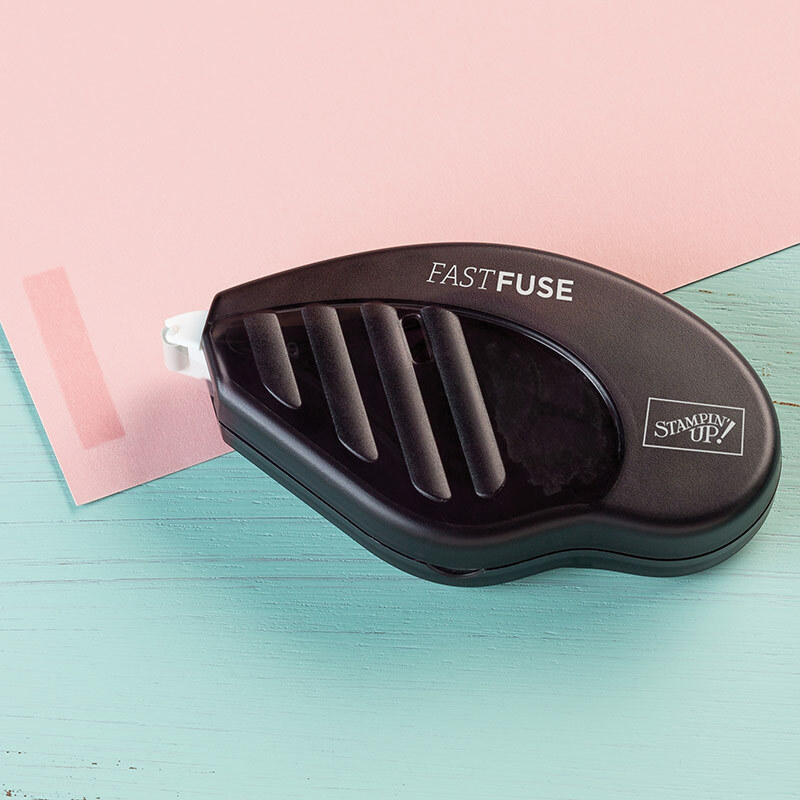 This Fast Fuse Adhesive is great for adding multiple layers (and ribbon) to a card because it's like a super-strength adhesive! Finally, we stamped "Wishing You a Season Filled with Warmth & Cheer" in Real Red ink (from the Wrapped in Warmth Stamp Set) and die-cut the sentiment with the Tags & Labels Framelits. Check out all of the images and sentiments in this super-cute stamp set below. We also layered our sentiment on top of another piece of Early Espresso cardstock die-cut from the same framelits. Then, we added a couple of Rhinestones to our sentiment to make it sparkle! I'd love to have you join us at this Stamp-a-Stack Class on Saturday, October 22 anytime from 10am-4pm. You'll make 12 cards (3 each of 4 designs, including this one!) 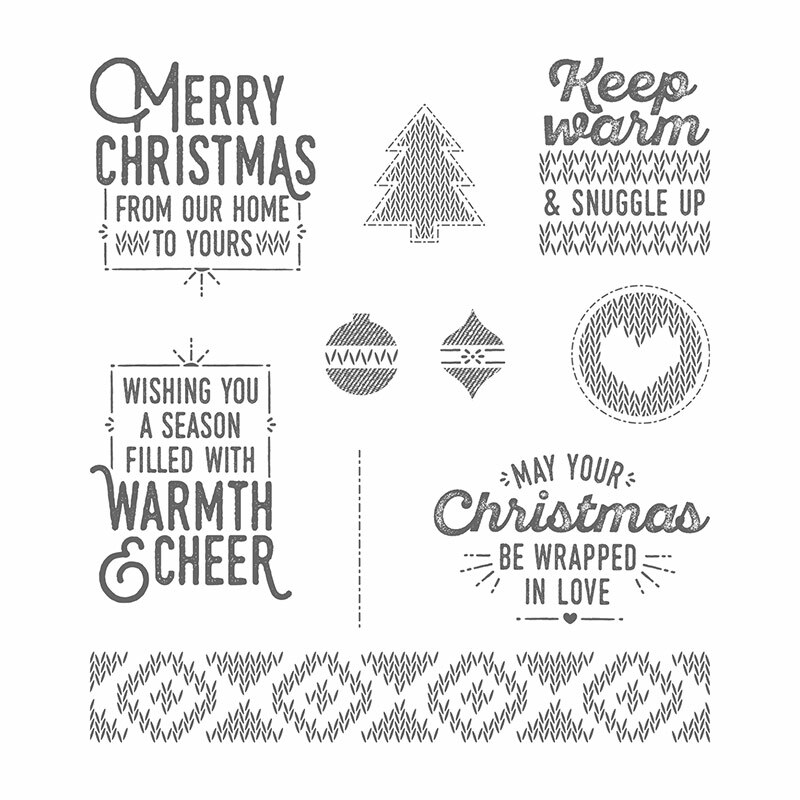 and receive the Wrapped in Warmth Stamp Set (or $20 in product of your choice) for a $35 fee. 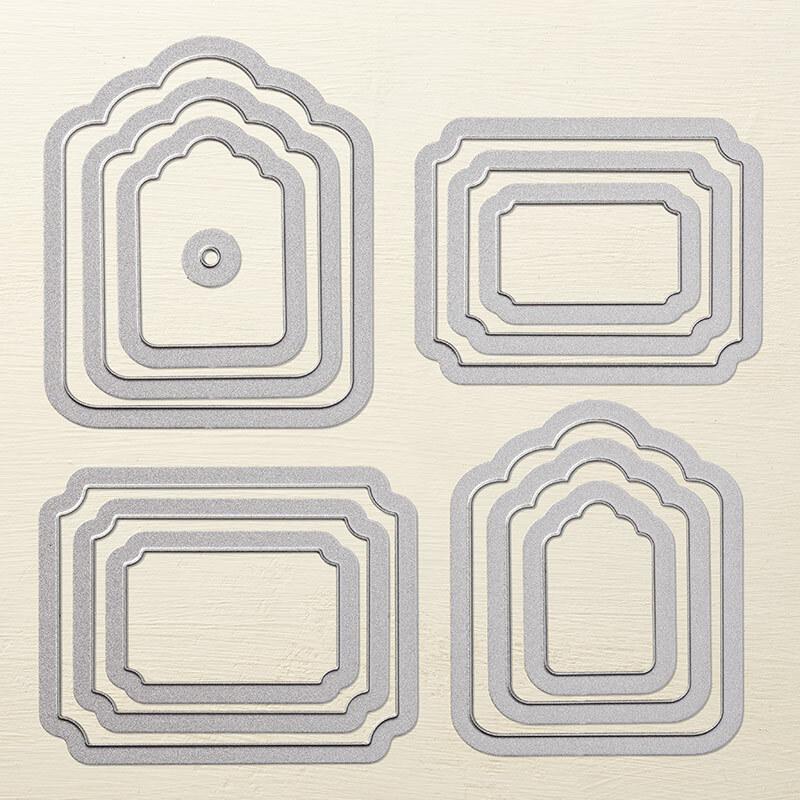 This class is a great deal and a great way to get your holiday card-making started early! I hope you have an Inskpired day!